St. Kitts and Nevis is set to become the fastest growing economy among all the countries of the Organisation of Eastern Caribbean States (OECS) in 2014. According to 2014 data relapsed by The United Nations Economic Commission for Latin America and the Caribbean (ECLAC), St. Kitts and Nevis will be the fifth fastest growing nations out of 16 Caribbean nations. While St. Lucia is expected to grow at just below 2.5%, Grenada, Antigua and Barbuda, and St. Vincent are projected to grow at 1.5-2% while Dominica lagged behind with projected growth rate of just 1.2%. 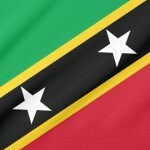 St. Kitts and Nevis is set to lead the Eastern Caribbean Currency Union with projected growth rate of 3.1%. Amongst all Caribbean nations, the GDP of Dominican Republic is expected to grow at 5% in 2014. Guyana is expected to be second with 4.5% growth while Suriname and Haiti following at 4.4% and 3.5%. St. Kitts and Nevis is the last country to be expected to grow at a rate in excess of 3%. Antigua and Barbuda is tenth on the list while Barbados lags behind at 15th position with an expected growth rate of just 0.5% in 2014. On the whole, the report painted a pessimistic picture and cut regional growth forecast for Latin America and the Caribbean from its original estimate of 2.7%. As compared to its April estimate, the report released in August 2014 pared growth rates for the region to just 2.2 percent of the region’s GDP.